Patrice graduated from Branford Hall Career Institute where she received her Registered Medical Assistant Certification in 2017. She started working in healthcare 16 years ago as a Certified Nurse Aid. 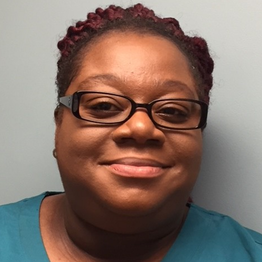 Primarily in skilled facilities, she’s been working as a medical Assistant to Dr. Dennis Rodin @ Waterbury Orthopedic Associates for over a year, but is always willing and ready to assist the other providers when needed.